Eclectic Eats: Which "burger" is for you? In an attempt to reverse a three-year sales slump, KFC China is trying out something new. No, they’re not giving anything away, and they aren’t offering any ‘buy 1, get 1’ coupons. 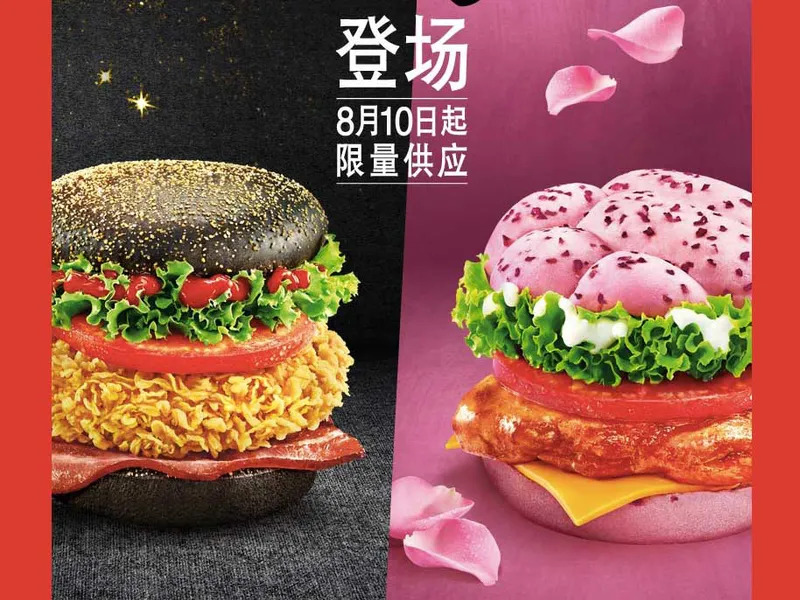 No, some exec at KFC China hit upon the bright idea to-get this-dye their burger buns. Eclectic Eats: Which “burger” is for you?